Keeping our water clean is important for a number of reasons. 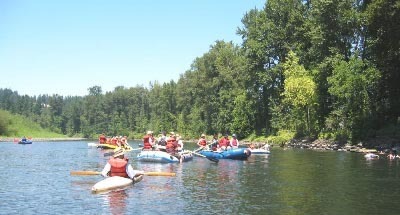 Nearly 400,000 people drink the water from the Clackamas River every day. The Clackamas also provides a place for thousands of people to swim, boat, and play — not to mention a home for endangered fish and wildlife. We’ve compiled a list of simple tips you can use to keep the river cleaner for all of us. You may notice that some of the tips are related to conserving water quantity, and wonder how that can impact water quality. Reduced stream flows can concentrate pollutants, lowering water quality. Shallow rivers are also more easily heated than their deep counterparts. Higher temperatures are linked to lower amounts of oxygen in the river. Try a pesticide alternative or reduce your use when possible. Consultations are available from the Clackamas River Basin Council. 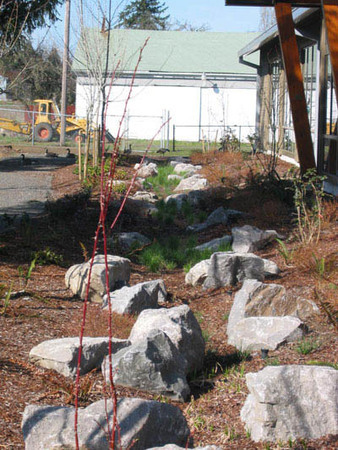 Plant native trees and shrubs near streams. Pull small patches of invasive weeds before they take over and require large-scale spraying. Report sightings of the Top Ten invasive weeds to the Clackamas Soil and Water Conservation District. Pick up after your pet. 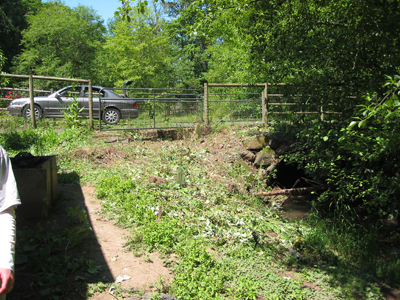 This prevents waste from washing into streams, where it can feed algae blooms and pose health problems. Mulch trees and shrubs. This helps to keep water in the soil. Be water-wise when watering your lawn in the summertime. Water no more than one inch per week. Time your watering to occur in the morning or evening, and avoid watering when it’s windy. This will insure the maximum amount of water reaches your lawn instead of being evaporated or blown away. Allow lawn clippings to mulch on your yard. Never dispose of yard waste down a storm drain. Harvest the rain! Collecting your rainwater or creatinga bioswale or raingarden can help recharge groundwater and limit runoff. The Clackamas County Soil and Water Conservation District has a great series of videos and publications that explain how you can make nature work for you. Consider hiring an ecological certified landscape professional. Check your car for fluid leaks — it will improve vehicle performance and keep chemicals from entering stormwater runoff. Dispose of antifreeze, brake fluid, and other hazardous wastes safely. Wash your car on the lawn, or at a commercial car wash. Your lawn will enjoy the drink, and there will be less stormwater runoff in our streams. Seek out ways to drive less, or carpool. Biking and walking are great ways to get exercise while reducing your impact on the environment. If you do need to drive, try to plan out your route so that it’s as efficient as possible. Have your oil changed professionally, or recycle your oil if you change it at home. Just one oil change can contaminate a million gallons of fresh water. Have an Ecobiz-certified professional work on your car, and visit an Ecobiz-certified carwash. Fix a leak! Contact the Clackamas River Water Providers to find out more information about how to do a home water audit. Curious about how much water that drippy faucet is wasting? Try this calculator. Make your appliances water-wise. You can install faucet aerators, low-flow showerheads, or purchase a low-flow toilet. The Clackamas River Water Providers has periodic rebates available for these updates. Dispose of prescription drugs properly. This keeps unused medications safely out of our drinking water. To find out where a take back event is occurring near you, click here. You can also contact RiverHealth. Take the Pledge for Watershed Health with RiverHealth! Minimize hazardous waste in your home and dispose of any waste product properly. For tips, see DEQ’s Household Hazardous Waste site. If you have a private water well or septic system, learn how to maintain these facilities in good order. It could save you costly repairs, protect your family’s health, and insure the continued safety of your groundwater. For tips, click here. Become Ecobiz certified! Certified businesses in the automotive, car wash, and landscape industries benefit by receiving free marketing and advertising and being recognized as leaders in their industry. Get certified by Salmon Safe for incorporating business practices that are beneficial for salmon. Minimize hazardous waste in your business and dispose of any waste product properly. For tips, see DEQ’s Household Hazardous Waste site. 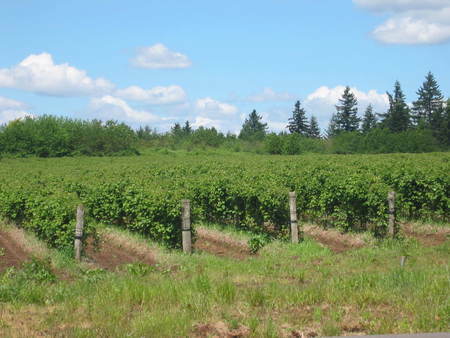 Rent equipment such as no-till drills, or a water wagon, from the Clackamas County SWCD. You can also contact the SWCD for technical assistance with projects such as livestock management and promoting pollinators. 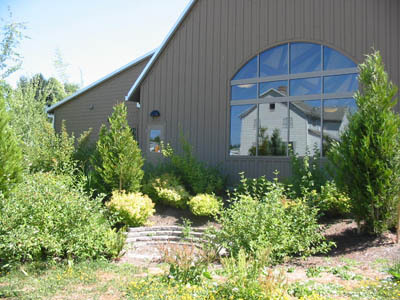 Attend one of the excellent events coordinated by the North Willamette Research and Extension Center to keep up-to-date on the latest in sustainable agriculture. Use pesticide alternatives and reduce your use when possible. 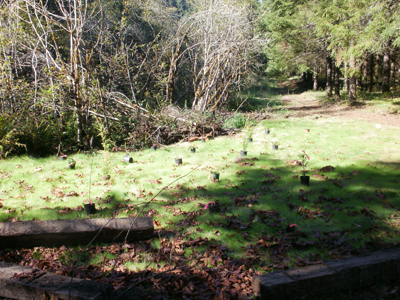 Plant native trees and shrubs as a riparian buffer if you have streamside property. Contact CRBC or the SWCD. If you are considering changing the use of your forest land, many other agencies may have rules which affect changing the use of your land. For an overview, click here. Don’t be a litterbug! Use one of CRBC’s Stash the Trash bags (available at Barton, Carver, McIver, and Bagby Hot Springs. Participate in the Down the River Clean Up with CRBC and We Love Clean Rivers. Keep our waterways clean and healthy by following these Clean Boater tips and taking the Clean Boater Pledge. Rafters and floaters must help keep human waste out of Oregon’s waters. Human waste threatens fish and wildlife, and causes human illnesses such as hepatitis and E. Coli. Use restrooms at the various parks — if a toilet is not available, bury all human waste and toilet paper at least six inches below the ground, and at least 200 feet away from the edge of a river or any other water source. Volunteer to plant trees along a streamside with CRBC — more info on upcoming events can be found here.